Pet Shop Boys will release a new EP, 'Christmas', on Parlophone Records on December 14th. 'All Over The World' is a new version of the track which appears on Pet Shop Boys' latest album, 'Yes'. 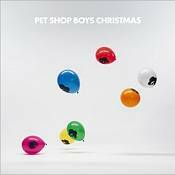 Also included is a new version of 'It Doesn't Often Snow At Christmas', originally an exclusive Christmas single issued to members of the Pet Shop Boys fan club in 1997. Both new versions are produced by Marius de Vries and Pet Shop Boys, based on the original tracks, and have orchestral and choir arrangements by Matt Robertson and Marius de Vries. Pet Shop Boys' arrangement of the Madness classic, 'My Girl', was originally performed with Suggs and Carl of Madness at last year's charity benefit, 'Can You Bear It? ', for the family of Chris and Neil's former assistant and close friend, Dainton Connell, who was tragically killed in a car accident. The EP also includes a medley of Coldplay's 'Viva La Vida' and Pet Shop Boys classic 'Domino Dancing' which the duo has been performing on their current world tour. This studio version is produced by Stuart Price. 2009 has been a productive year for Pet Shop Boys who won the award for Outstanding Contribution To Music at this year’s BRITs and celebrated their highest UK and USA album chart positions for 15 years. A hugely successful world tour is still in progress. 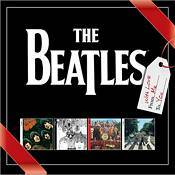 Christmas gifting pack of pre-loaded box containing the 4 best-selling Beatles remastered, repackaged albums in one special celebration box at a special price. The late Lester Bangs reviewing the original album in the November 12, 1970 issue of Rolling Stone wrote, "It's still too soon to tell, but I'm beginning to think 'Ya-Ya's' just might be the best album they ever made. I have no doubt that it's the best rock concert ever put on record." The set comprises three audio CDs including a remastered disc of the original 'Ya-Ya's' repertoire as well as a disc of five previously unreleased Stones tracks recorded at the same Madison Square Garden shows. The third CD encompasses unreleased performances by the shows' stellar openers: B.B. King and Ike & Tina Turner, five songs from the former and seven songs from the latter. The Box Set also includes a 56-page Collectors Edition book featuring photos and an essay by Ethan Russell, the acclaimed photographer who accompanied the Stones on the ’69 tour, as well as the original Rolling Stone Magazine review by Lester Bangs and a series of recollections from a cross-section of fans who attended the concerts and a replica of the original Stones '69 tour poster by David Byrd. Included as well is a bonus DVD by legendary filmmakers Albert and David Maysles, also entitled 'Get Yer Ya-Ya's Out!' The film includes brilliantly shot full-length performances of the five previously unreleased Stones songs — 'Prodigal Son', 'You Gotta Move', 'Under My Thumb', 'I'm Free' and '(I Can't Get No) Satisfaction' Beyond the song performances – presented in 5.1 surround sound – the film includes a sequence with Mick Jagger, Charlie Watts and Jack the donkey during the cover shoot for the 'Ya-Ya's' album and backstage tête-à-têtes between Keith Richards, Jimi Hendrix and Mick Taylor.